a place for every adult to Stay Healthy, Keep Fit, and Have Fun! Something wonderful is happening in our neighborhood, and you’re invited to be a part of it! Our beloved and historic former Friendly Library building has been restored and is ready for another hundred years of service to our community. 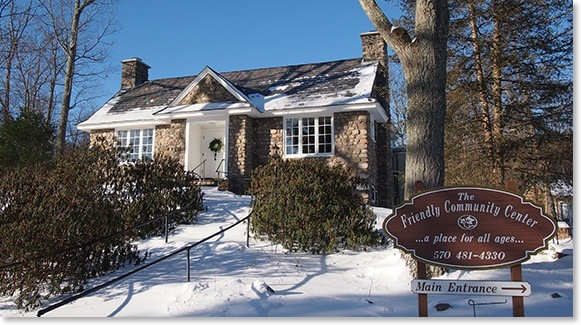 The Friendly Community Center is a place to come together with members of your community. Connect with people who share your interests, learn something new, volunteer to help in our community, access social and recreational programs, exercise, play a game, network with friends and business owners, enjoy a cup of coffee, and much more! Visit our Programs page to learn more about the wide variety of programs we currently offer. With everything from A (Armchair Travel) to Z (Zumba), there’s something for everyone at The FCC! The Dottie Hughes Fitness Park. What is The Dottie Hughes Fitness Park? The Dottie Hughes Fitness Park is conveniently located right outside The Friendly Community Center. 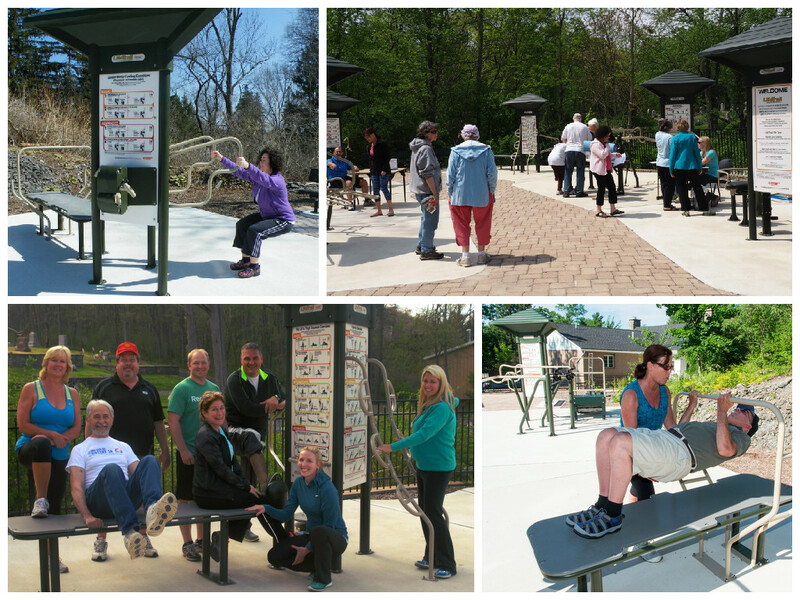 Adults of all ages are welcome to exercise in the Dottie Hughes Fitness Park, any time of day.